Kerta Kawat Temple Around 50km in the village of Banyupoh in North Bali, this unique temple welcomes you to its magnificent architecture with towering gates and Balinese motifs, set against green hills. The temple attracts worshippers from all over, who come here mainly seeking blessings for prosperity and happiness. 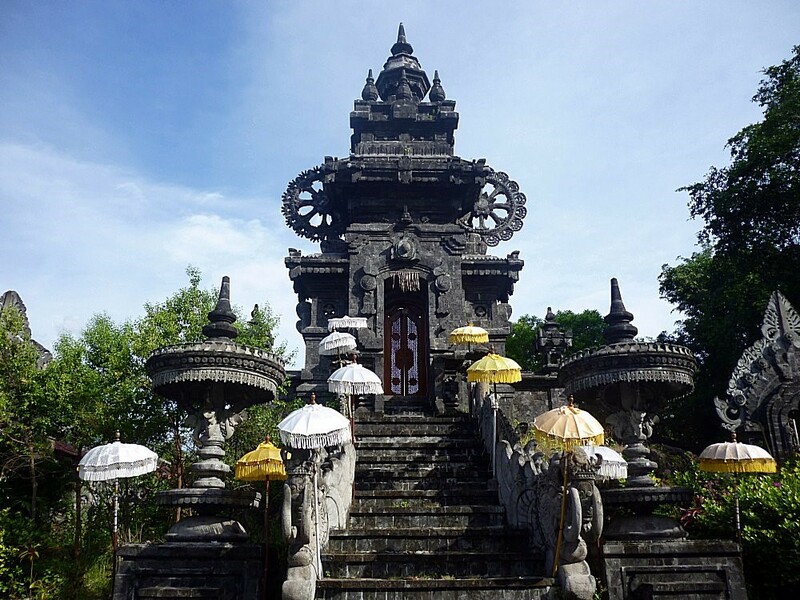 Unlike other old temples in the area, Kerta Kawat features is features more recent architectural styles. The site and its garden settings provide photo stops along your tours through North Bali via the western route of Gilimanuk. As with any temple visit, proper attire is advised (sarong and sash around the waist).